PitchBlack was formed in late 2002 by Trold, Schou and Staff. Early 2003 Dag and DanIhjel joied the band. Staff was later on replaced by Pede who takes care of the lead now. They started out with great success. 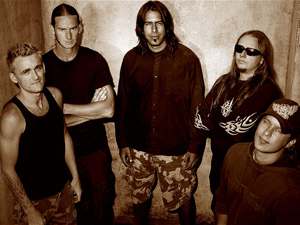 Their first gig in 2003 was at a danish death metal contest where they won the prices as "best performers", "Best guitarist" and the audience votes for "best band". Quite a KICK to get from the start. In 2003 they also made their first demo: No Sympathy Left which has received very well feedback by the press. In 2004 the follower "PitchBlack promo 2004" was made, but they were never really satisfied with this demo. In november 2005 they started recording a full lenght album with the title "Designed to Dislike". This recorded was produced by Steen Mogensen of Cornerstone and by Pede at Earplug Studio, Copenhagen. Photos and booklet are made by former Mercyful Fate guitar legend Hank Shermann. The coverartwork is made by Martin Wanner who designed a cover for the 80's major band Yello. The release date of this album will be on 18th May 2007. Untill then they will play gigs in Denmark and write new material. The plan is to visit other places in Europe so keep yourself updated on the latest news and upcoming shows.